How does eelgrass respond to oyster aquaculture? Can we develop a drone monitoring protocol as a cost-effective surveying alternative? Sarah is a marine ecologist from UC Santa Cruz working to better understand sustainability in eelgrass ecosystems at a landscape level. She studies seagrass ecosystems, and how the function and services of these ecosystems will be impacted by climate change and anthropogenic impacts to the coast. 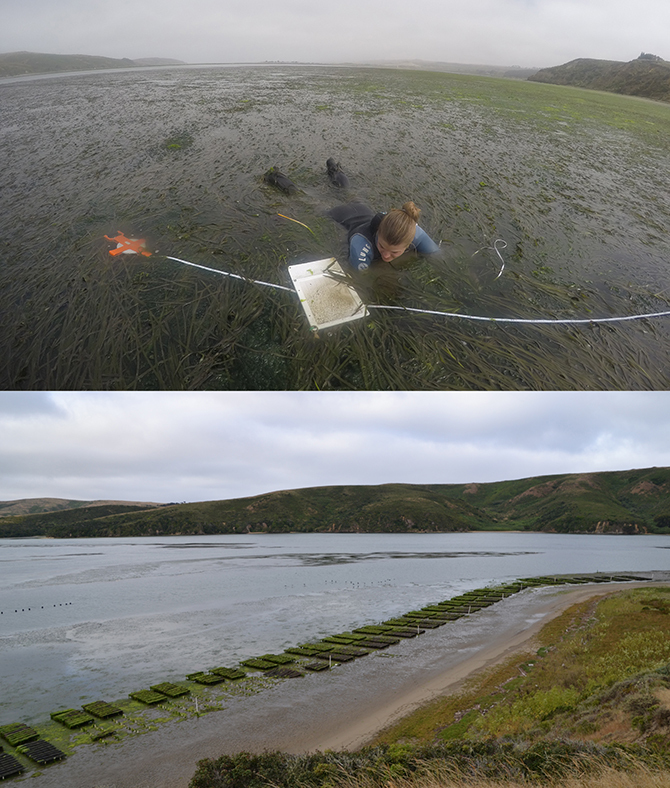 Recently, Sarah has been collaborating with The Nature Conservancy and Hog Island Oyster Company to better understand the impacts of oyster aquaculture on eelgrass ecosystems. She likes working on questions at the intersection of science and policy, and is excited to share her results with both resource managers and local communities. Note: This presentation will NOT be broadcast as a “virtual meeting,” but it will be recorded for the BASK YouTube channel, pending permission by our presenter. ← New BASK Planning Meeting Minutes Archive!